Botox® is a popular cosmetic treatment used to replenish your youthful features and make you feel renewed. 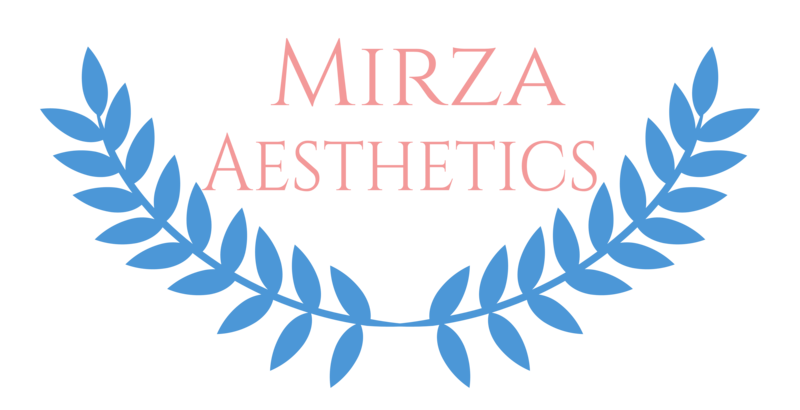 Millions of people benefit from such cosmetic treatments every year. Botox® is FDA-approved for moderate to severe wrinkles in adults. Looking great dramatically influences the way we feel about ourselves and the way people interact with us every day. So, men and women worldwide are enjoying the rejuvenating effects of Botox®. Wrinkles are a definite sign of aging. No matter age, forehead wrinkles are one of the most prominent types of facial wrinkles to haunt men and women. Repeated muscle movements causes wrinkles, so each time you make an expression a line is left behind—a wrinkle! How do you reduce movement? How do you eliminate wrinkles? If you want amazing and subtle anti-wrinkle treatment, Botox® is for you! The active ingredient in Botox is a purified protein made from the botulism bacteria. When injected, it relaxes the muscles in the surrounding area. The skin, then, relaxes, which gives the face a smoother, radiant, more youthful appearance. Even the most pesky and stubborn wrinkles can be erased! Botox® injections usually cause little to no pain. However, if you’re sensitive and concerned about pain management, speak with your doctor about a numbing cream to ease any discomfort. Botox® injections can last for about three to six months. At most, they can last up to one year. Most patients prefer to schedule additional appointments to maintain the outcome. Botox® is considered a “lunchtime procedure.” It can be performed in less than 30 minutes! Do I Qualify For Botox®? If you’re a man or woman who meets the following qualifications, then you are a candidate for Botox®. Medical research is finding increasingly diverse uses for Botox®. One of the more recent discoveries is the use of Botox® injections for pain management in those suffering from such conditions as fibromyalgia, muscle spasms and trigger points. In small quantities, Botox® injections can relieve pain by weakening targeted muscles, with results lasting anywhere from 3 weeks to several months. Fibromyalgia is a chronic condition characterized by physical tenderness and pain throughout the body. When injected directly into fibro tender points, Botox® has been shown to significantly reduce muscle spasms and pain with long-lasting results when compared to other pain management options. Muscle spasms are involuntary muscle contractions, typically resulting from inflammation, that can cause mild to severe pain. Botox® injections work to reduce or completely stop muscle spasms by weakening the targeted muscles. Trigger points are sensitive areas typically located within tense bands of skeletal muscle. Botox® injections work to relax these muscles by inhibiting the release of acetylcholine, the neurotransmitter responsible for communication between nerves and muscles. Targeting the pubococcygeus muscle (PC Muscle), Botox® will temporarily reduce the involuntary stress of the inner vaginal wall muscles, otherwise uncontrollable to a degree. Successfully reducing the severity of vaginism (vaginismus), as well as the pain during penetration. Botox®, approved by the FDA as safe and effective, is a treatment for wrinkles, fine lines, and other facial aberrations. For people with large facial pores or healing acne scars, Botox® may be useful in reducing or eliminating their appearance. How Does Botox® Pore Reduction Work? The expansion of our pores and shaping of other facial aberrations are controlled by small muscles. By means of an injection under the skin, Botox® helps to both relax these muscles and tighten the skin, resulting in the desired lessening or elimination of large pores. This can most commonly be done along the cheeks, nose and forehead. Is Botox® Pore Reduction Right For Me? Most patients can expect to maintain the correction they see. However, every patient’s skin is unique. Therefore, we recommend starting slowly with a conservative amount of Botox® and continuing treatment as needed to get the best results. You may need more than one treatment to attain lasting results. Excessive sweating is an annoying condition to deal with, not to mention the fact that it can affect your daily routine. Fortunately, Botox® comes to the rescue as an effective treatment. Sweat glands have to receive a certain chemical signal in order to produce sweat. Botox® blocks this signal, thus reducing the amount of sweat produced. Does the Sweat Go Somewhere Else? No. Since Botox® blocks the sweat glands from receiving the chemicals they need to sweat, there is no sweat produced in and around injection sites. Still, the rest of the body can sweat as normal. Once Botox® treatments are stopped, sweating will return to normal at injection locations. On average, a person will need the treatment once every six and a half months. It should be noted that Botox® injections are not a cure for excessive sweating. However, they do serve as a remedy for effectively controlling the condition. Most people notice an improvement in sweat reduction within four weeks. Botox® has been proven effective in treating excessive sweating in the armpits, hands, feet, head, face and other smaller areas of the body, such as under the breasts. When applied along the hairline on the scalp, these injections reduce the function of the sweat glands, which cause the front of your hair to frizz up or fall flat. With these sweat glands muted, even after exercise, your hair is more likely to stay presentable, as if you’ve just blow-dried it. There is no definitive explanation as to how Botox® injections help alleviate migraine symptoms, but this is also because scientists still don’t know what it is that causes migraines. We do know that Botox® injections have effectively and safely managed migraines in some patients. Botox® inhibits chemicals from affecting nerve endings, making headaches less severe. Botox® injections are added around the head and neck to dull headaches. While Botox® is used mainly as a wrinkle relaxer and to smooth fine lines, there are also health benefits associated with Botox® injections. For patients who experience chronic headaches, Botox® treatments can be used as a way to alleviate symptoms. Patients with migraines that occur less than 15 days per month will notice that Botox® treatment will not curb their migraine symptoms, so it is therefore not a recommended treatment. Be sure to consult with your physician to decide if Botox® treatments for migraines are right for you. An injection of Botox® may have some common side effects, such as discomfort or pain at the injection site. Though rare, other, more serious side effects can occur, such as an allergic reaction. To find out if Botox® if right for you, consult with your doctor. A thorough consultation should result in your fully informed decision. Some side effects have been noted, including neck pain and stiffness, muscle weakness, redness, headaches and drooping eyelids. These effects are temporary and mild in nature. As with all procedures that involve an injection through the skin, there is a risk of infection. Redness, swelling, or bruising at the injection site may occur. Side effects are usually temporary and mild in nature.